LuxuriousPROTOTYPE: BODHI Bags Supports James Franco and amfAR at NYC's Inspiration Gala. BODHI Bags Supports James Franco and amfAR at NYC's Inspiration Gala. Luxury handbag brand BODHI, and its Creative Director and Senoir Vice President Joseph Janus, are proud to support amfAR’s Inspiration Gala. The event will be held in the Museum of Modern Art on June 14th and will honor amfAR supporters James Franco and Michael Kors. 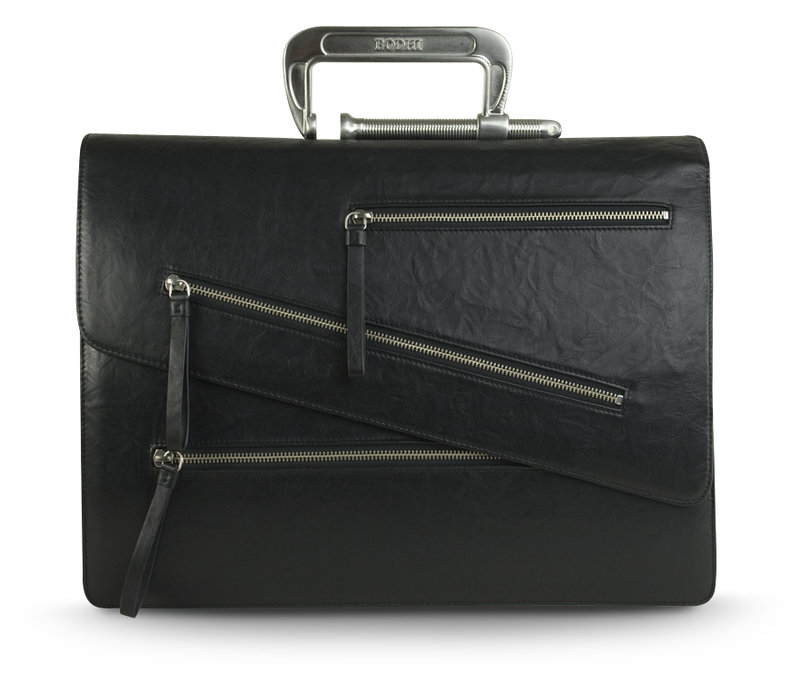 In harmony with the gala’s “Black Tie Hot Metal” theme, BODHI will showcase its most iconic men’s bags, including the Vice Bag - a modern, crinkle leather briefcase with a hardware handle which epitomizes the brand’s aesthetic. In addition to the display, BODHI will showcase a collection of men’s bags during a runway show for guests that will include Heidi Klum, Andy Cohen and Courtney Love. Afterwards, a live auction will be held that will include a signature BODHI luggage set. The evening will also feature a cocktail reception, a gala dinner and special performances by Liza Minnelli and Jennifer Hudson. “I am proud to support amfAR and very happy to use my creativity in designing bags to help raise money for such a great cause” explains Joseph Janus. amfAR, The Foundation for AIDS Research, is one of the world’s leading nonprofit organizations dedicated to the support of AIDS research, HIV prevention, treatment education, and the advocacy of sound AIDS-related public policy. Since its founding, amfAR has invested nearly $325 million in its programs and has awarded grants to more than 2,000 research teams worldwide. Founded in 2008, BODHI began as a women’s luxury handbag line inspired by Eastern spirituality. BODHI, meaning “enlightenment” in Sanskrit, has since expanded to include men’s, travel and tech collections. For more information on the event, check out amfAR website.